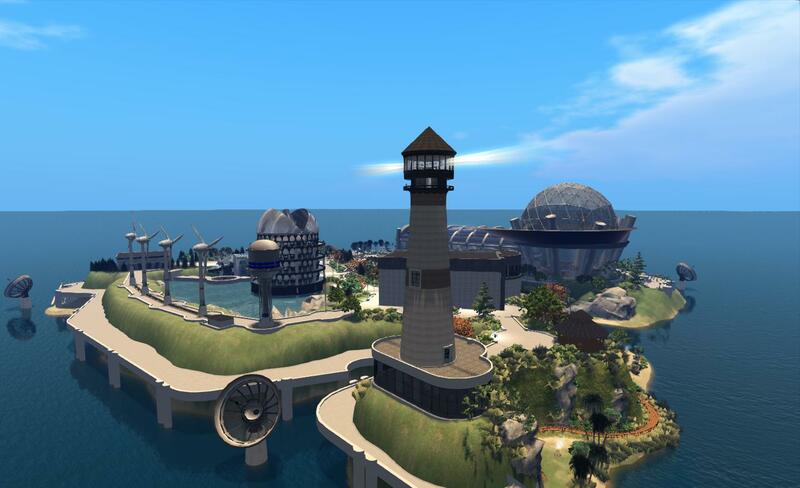 On Monday May 20th, the Overte Foundation and Avacon announced the First Annual OpenSim Community Conference, which will take place on the 7th and 8th September 2013. The official programme will be held in-world on purpose-built grid, designed specifically for the conference. In addition, the conference grid will be HyperGrid enabled, allowing attendees to move between it and other grids which may be hosting social events linked to the conference. The conference is intended to be a celebration of the OpenSimulator platform and the large and varied community using it. As such, it will feature two days of keynote speakers, presentations and panels on different topics, and an exposition area to showcase community activities and projects and event sponsors. Therefore, anyone who is interested in the OpenSimulator software and the future of the metaverse is invited to attend, as well as OpenSimulator developers, grid administrators, and members of the community who participate on OpenSimulator grids. Registrations for the conference will open on June 17th 2013 on a first-come-first-served basis. The organisers hope to accommodate 200 users in total, and once that number has been reached, community members will still be able to register for the live UStream version of the conference, which will be provided on-line free-of-charge. The exposition area of the conference grid will not be restricted to ticket-only access, and so will be only to anyone wishing to visit, subject to constraints on the number of avatars that the exhibition regions can hold at any given time. All speaker proposals must be submitted no later than July 1st, 2013. While the conference is being held in virtual space, it does incur some expenses (such as the professionally managed set-up and operation of the conference grid and the streaming and other web services). As such, the conference is seeking sponsorship from businesses, entrepreneurs, and community members alike to help support the conference through a range of sponsorship opportunities, which are tax-deductible for US residents minus the value of any tangible benefits. The conference also needs volunteers to assist with a wide variety of roles including greeting attendees, moderating breakout sessions, assisting with building and scripting tasks, providing technical support, and so on. If you are experienced with the OpenSimulator platform and have an interest in helping, please complete the Volunteer Application form. The Overte Foundation is a non-profit organization that manages contribution agreements for the OpenSimulator project. In the future, it will also act to promote and support both OpenSimulator and the wider open-source 3D virtual environment ecosystem. AvaCon, Inc. is a 501(c)(3) non-profit organization dedicated to promoting the growth, enhancement, and development of the metaverse, virtual worlds, augmented reality, and 3D immersive and virtual spaces. We hold conventions and meetings to promote educational and scientific inquiry into these spaces, and to support organized fan activities, including performances, lectures, art, music, machinima, and much more. Our primary goal is to connect and support the diverse communities and practitioners involved in co-creating and using virtual worlds, and to educate the public and our constituents about the emerging ecosystem of technologies broadly known as the metaverse.